I recently had the honor of making a quilt for Dear Stella using their new fabric line by Rae Ritchie called Shadowbox. 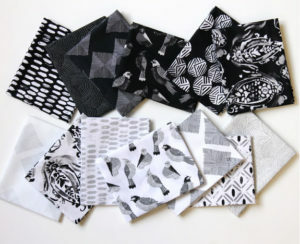 It’s a black and white collection, but it’s sort of “watercolorish”, so it has some shades of gray scattered in in places. * You can see the entire Shadowbox collection HERE. I love the birds, I love the paisleys, it’s so difficult to choose a favorite! Not only is it pretty to look at, but the way it feels . . . so very luscious! 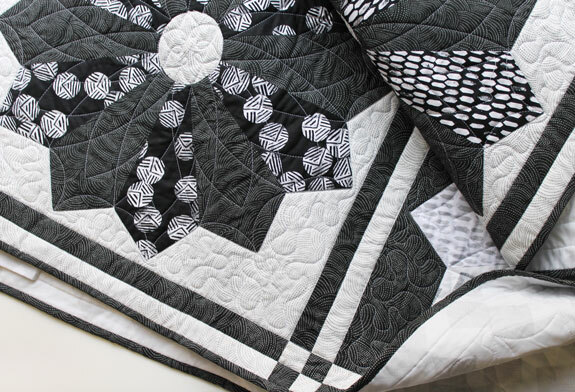 The Silver Linings quilt pattern using the Shadowbox collection was designed by my friend, Denniele Bohannon. 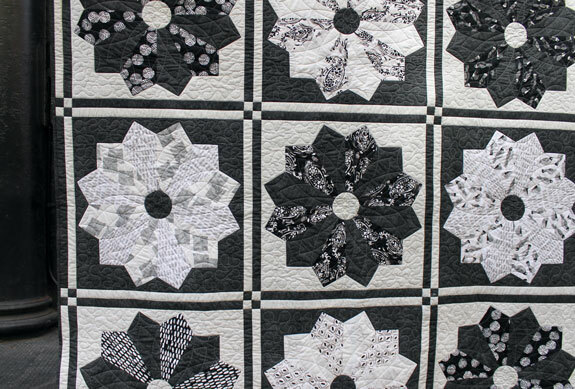 Large Dresden plates in alternating light-on-dark and dark-on-light colorways. It’s just gorgeous! 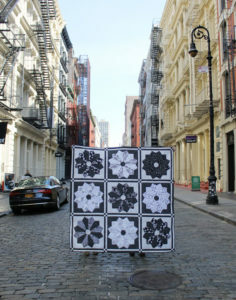 Best of all, you can get this pattern free on Dear Stella’s website on their projects page. Click HERE to go directly to it. *All photos were blatantly stolen from Dear Stella because their pictures are way better than any I could have taken! Fab quilt. Good to see a B&W collection. 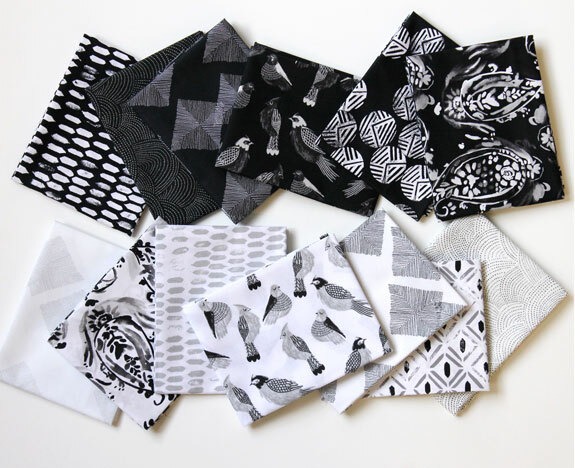 What a fun fabric collection! I love the birds (my daughter does field research on birds, so I’m kinda partial). 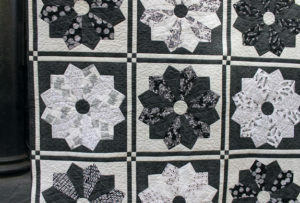 The quilt is just fabulous! Such a beautiful job, Shelly! !